Borrowing imperial recipes from the Qing Dynasty and those passed down from generations, Simmer Huang specializes in a unique simmer cooking process, using medical herbs to come up with nutritionally balanced Chinese dishes. 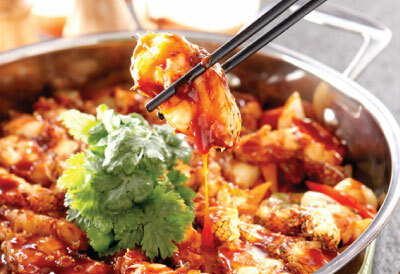 The restaurant chain was established in Beijing in 2004 and has more than 600 restaurants worldwide. It aims to reach the 1,000 mark across the globe by 2018. Consumers get a taste of popular dishes served at royal feasts as Simmer Huang its first restaurant now in Malaysia at Pavilion Elite.